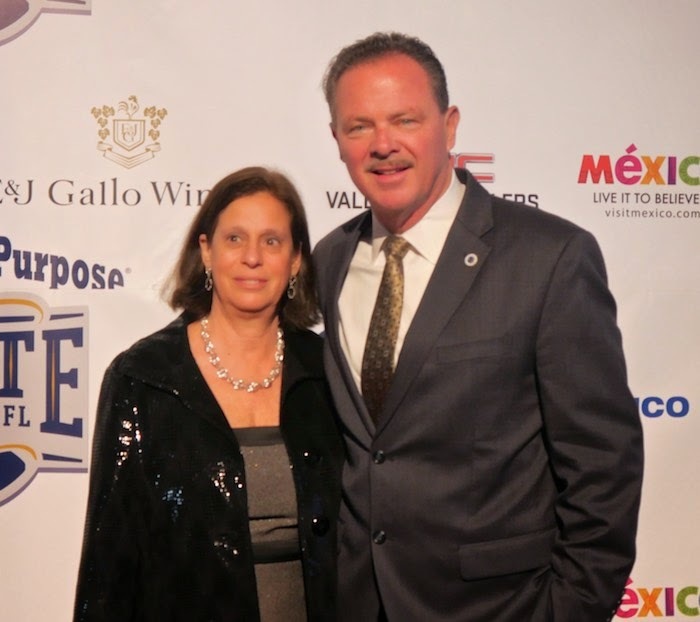 Last Saturday night, on the eve of Super Bowl 49, nearly 3000 people came together at Westworld of Scottsdale in an effort to "Kick Hunger" in the US. 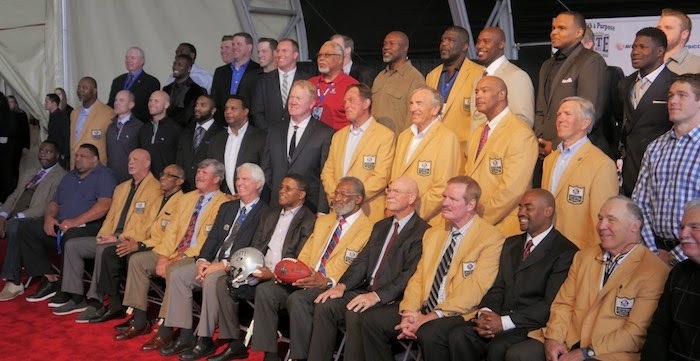 NFL's greatest players to raise money in support of food banks everywhere. In today's crazy world it is refreshing to see so many people come together for such a great cause. 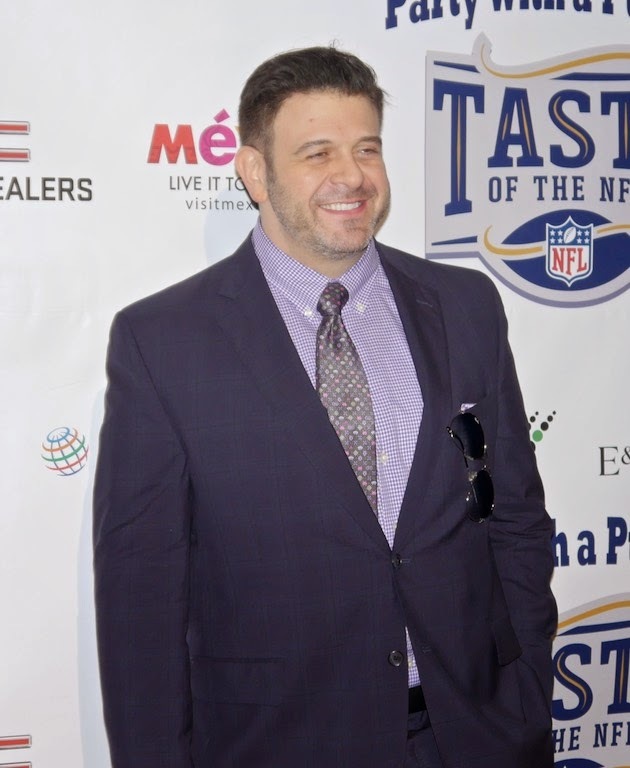 Adam Richman, food expert and star of The Travel Channel's Man v Food program was this year's culinary host. Miss America,Kira Kazantsev, also took the stage using her influence in the cause to fight hunger. Alyssa Milano, served as the national celebrity spokesperson of this event. Also spotted on the red carpet were Miss Arizona, Anne Burrell, & Scottdale Mayor Jim Lane & his wife. There were 40 food stations, one for each NFL city and additional chefs representing various local restaurants. Each station featured an NFL legend alongside the restaurant chef. Guests enjoyed wines from Gallo Winery as they meandered the event tasting some of the country's top chefs' favorite dishes. 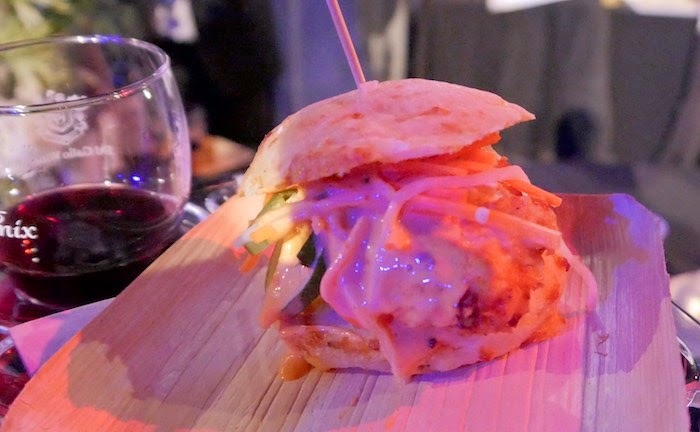 Culinary bites included Arizona's own Beau MacMillan's mouthwatering Fried Chicken on Cheddar Biscuits. Steve DiFillippo from Boston's legendary Davio's made over 7000 hand rolled gnocchi to go with his hearty bolognese sauce and Jack McDavid from Jack's Firehouse in Philadelphia made a to die for chocolate toffee torte. 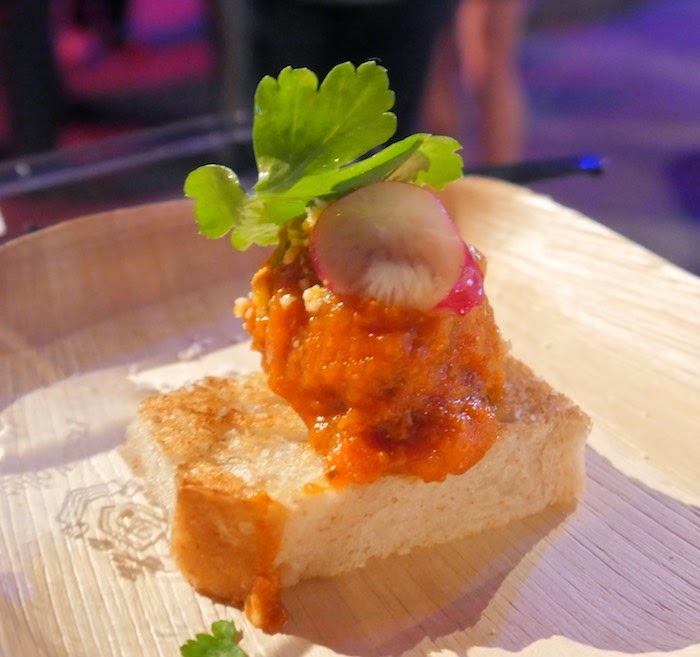 There were meatballs in spicy pomodoro sauce from Niche in St. Louis that were served garnished with radish. 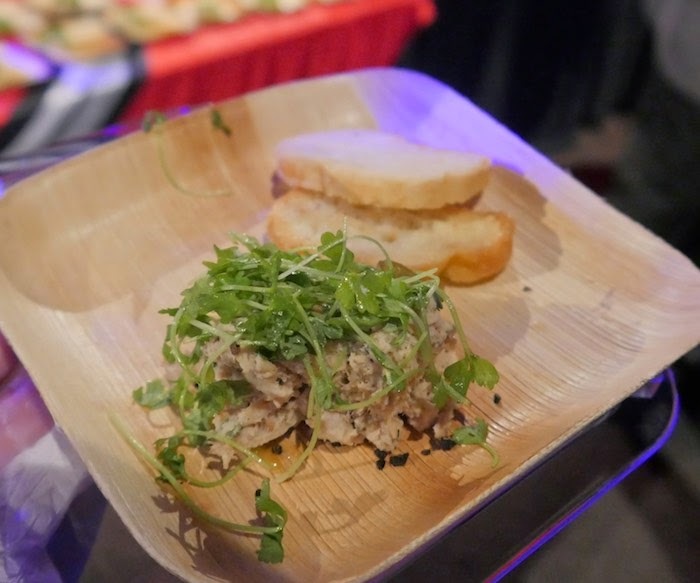 Smoked Chicken & Pork Belly Rillettes, from Mise En Place in Tampa was a favorite of mine. 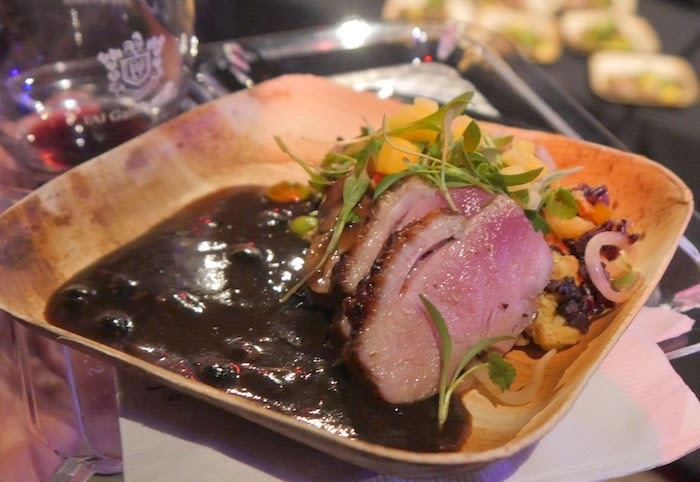 Along with the Soy Glazed Duck with fermented black bean sauce made by Chef Kent Rathbun, from Abacus restaurant in Dallas. And last but not least there were a variety of cupcakes from Franklin Street Bakery in Minneapolis. That looks like soooo much fun! What a great way to raise money for a good cause! PS - I am loving the cupcakes - yum!! Great post and looks like a fun event! What an event. Very fun to see and read about! I can't imagine how good the food tasted! What a great cause. Gosh! The food looked so amazing. What a wonderful way to raise money for a good cause! Everything looks tasty and delicious! Sounds like a fun event! Fried chicken on cheddar biscuits sounds pretty amazing. Very cool! All the food looks so great! 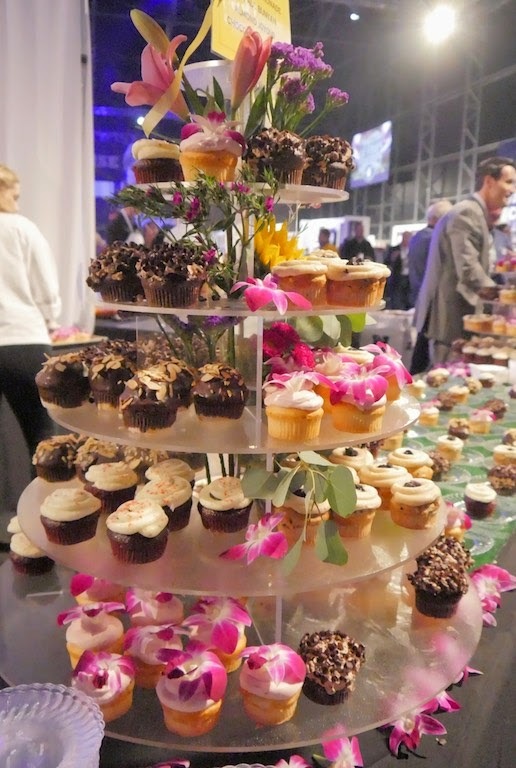 When we saw the food at events in NYC, we were excited. Both the duck and the fish (we had a course of each) were cooked perfectly, despite so many portions being needed, and that was impressive. Totally envious of your experience!!!! Deliciously fun! This looks like a great evening and I wish they had done something like this when the superbowl was in NY last year! All we got was superbowl alley taking over Times Square! lol! Sounds like a wonderful event! All of the food looks so good. Wow, how exciting to attend such an event! This sounds like it would have been such a fun event to attend. I want that plate of duck! Wow, what a fun event! And the fact that it was for such a great cause is even better! How fun is that. I never see events like this here. Looks like the food was out of his world. And seriously Miss Alyssa Milano looks as young as can be. The woman is gorgeous. So cool to see so many powerful people come together for a cause. What a great event and a great cause! What a fun event and for such a great cause! That cupcake tower is calling me. I love when events this fun are also for a good cause. The food all looks delicious! What a fun event for such a great cause! Love when people use their power & influence for good!